Valentine Arrow Pencils! 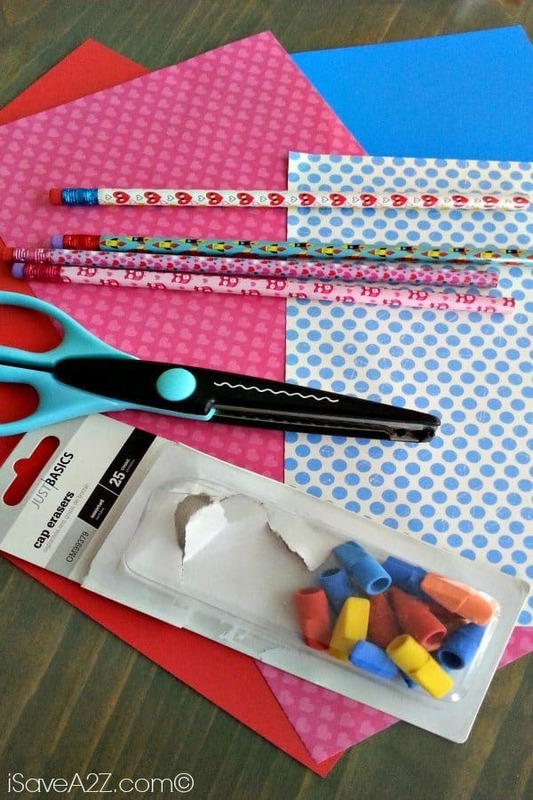 Super EASY and inexpensive craft! Okay everyone….Valentine’s Day is just 9 days away! And if you have little ones in school, then you are probably trying to decide what treats (if any) that they will take to hand out to all of their friends. My son’s elementary school, like a lot of other schools, does not allow any kind of candy or food treats anymore. So we decided to make these adorable Valentine Arrow Pencils! It only takes a handful of inexpensive materials to make these and we got them done in one day for both of my kids classes. 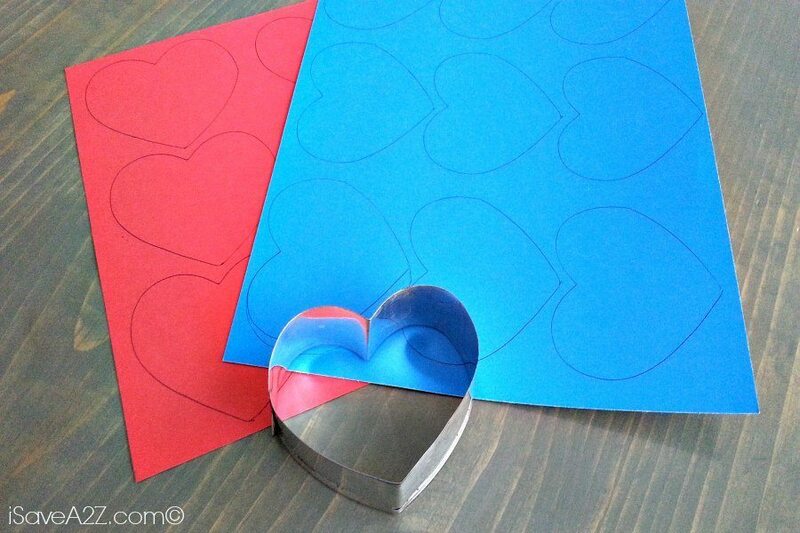 Craft paper – We did blue for the boys and pinks and reds for the girls. Scissors – We used regular scissors and craft scissors with the design on them. Valentine pencils – We found ours in the dollar bins at Target. But HERE are some cute ones too! Labels – this is optional, you can also just write on the heart. First, we just traced out all of our hearts using a cookie cutter. We were able to fit 9 per page. 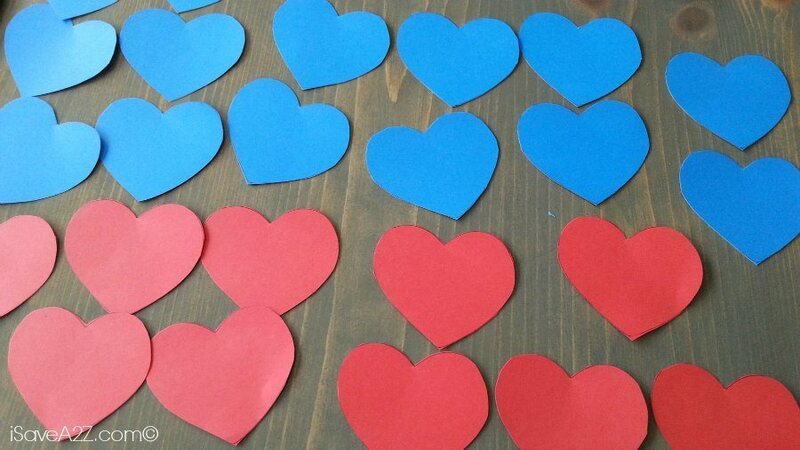 Then, cut out all of the hearts! We first cut them out using regular scissors, then went back around the edges with our craft scissors to make them a little more decorative. You also need to cut out an end of the arrow for each pencil. I keep a stack of craft paper around all of the time because we use it so much, and we still had some Valentine paper from last year. We just picked out patterns that would go with the colors we were using. It helps if you cut the paper into a square, then fold it in half to cut the ends at an angle. That way it’s already folded and the cuts are even. Next, we placed the labels on our hearts. I just made these on the computer using different fonts and printed them out. 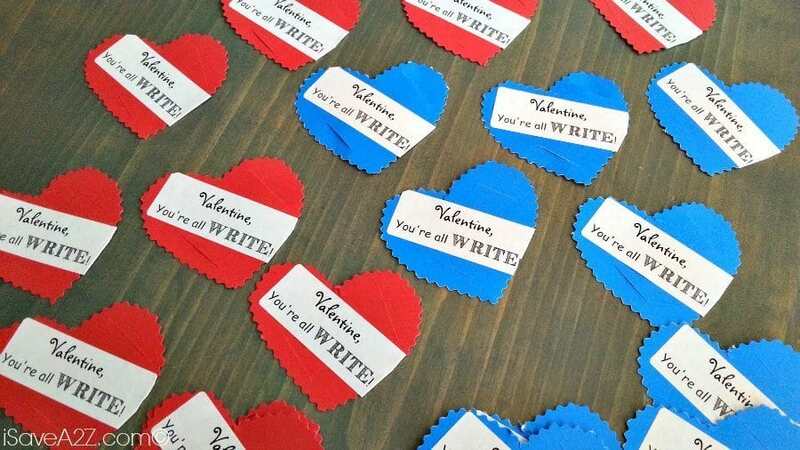 If you don’t have labels, you can also just write your message in the middle of the heart. 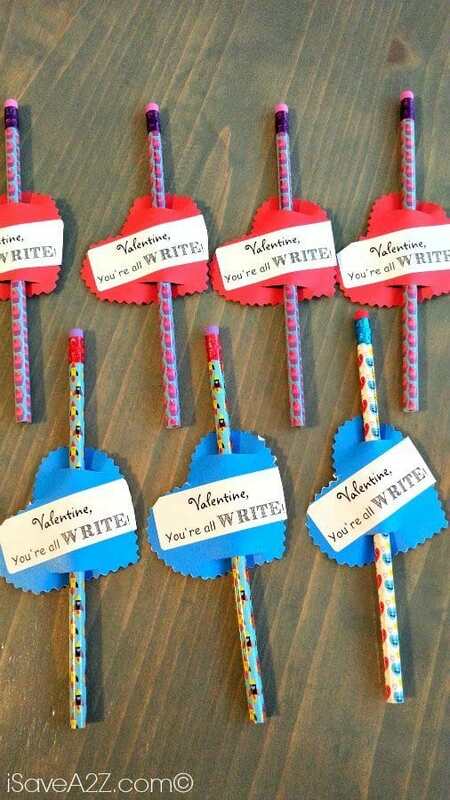 Since you are giving pencils, some phrases you could use are: You’re the WRITE one, WRITE on Valentine or go with what we used. I also took a craft knife and cut slits above and below the label. This is where your pencil will slide through. I tried to use a hole punch for this, but the hole was just a little too small. All you have to do now is slide the pencil through the heart, add the cap eraser on one end and the paper end that you cut out to the other side. The official word for the paper end is called fletching…..I had to look it up! We just used a little scotch tape to attach these. Voila! 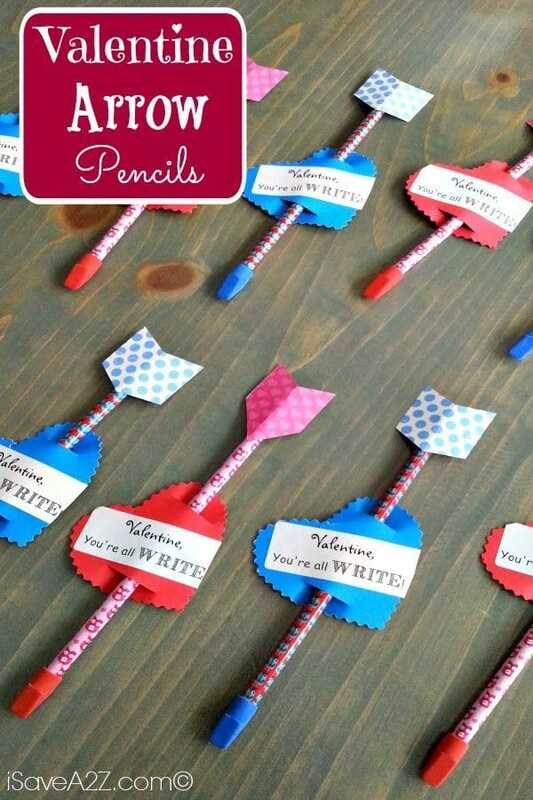 That’s all it takes to make these Valentine Arrow Pencils! If your kids are still pretty young or are still allowed to take food treats to school, we have some great ideas for that too. A couple of my favorites are these Easy Rice Krispie Hearts or our Easy Valentine’s Day Popcorn Recipe! 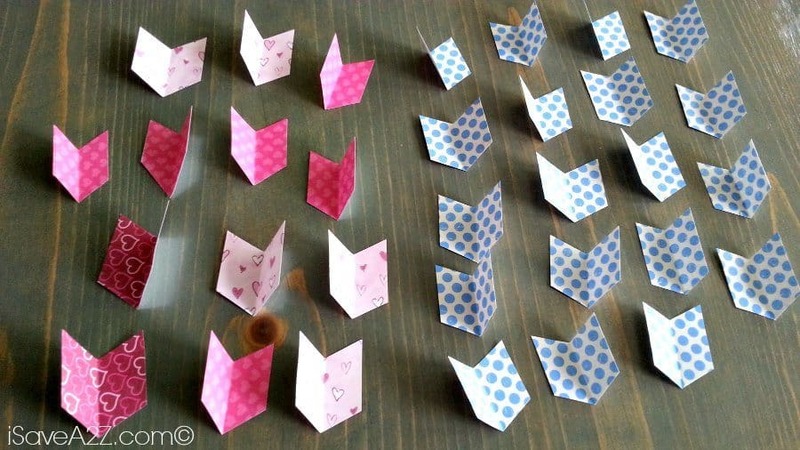 By Jennifer on January 11, 2019 Crafts, Paper Crafts, Valentine's Day Ideas.